Episode 3×04 premieres today and we also already got a glimpse at Episodes 3×05, 3×06 and 3×07! Sadly, still no Sneak Peeks for tonight’s episode. Shortly before the episodes aired, some of the cast and crew posted “old” photos and videos taken when filming the episodes back in July and August; e.g. 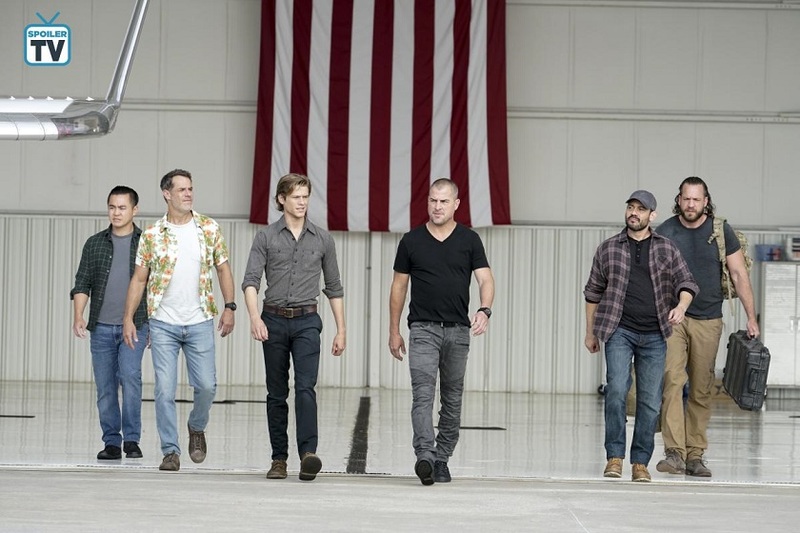 Jesse C. Boyd with Team Delta, Jessejames Locorriere with Team Phoenix at College or Tessa Blake (director of Episode 3×03) with Meredith Eaton and with George Eads. For Episode 3×03, CBS added more Stills on October 9; making it 14 Stills in total. Interestingly, they were all photos of the Team Phoenix College Kids, so no Jack or Matty at all. Maybe they wanted to make up for the delay on the Sneak Peeks for Episode 3×02, so they added more Stills and uploaded the 3 Sneak Peeks earlier than usual. To recap: Episode 3×01 had attracted an audience of 5.771 million live-viewers with a 0.7 rating in the important demo group of 18-49 year olds. Compared to the Season 2 Premiere, they lost 0.1 in demo and about 920’000 viewers, which is less than most of the other CBS action drama shows. In the Live +7 days ratings, it gained another 1.8 million viewers, making it 7.60 million viewers in total when including DVR ratings. The Ratings for Episode 3×02 (Bravo Lead + Loyalty + Friendship) were almost the same with 5.734 million viewers and a demo of 0.7. Thankfully, Episode 3×03 (Bozer + Booze + Back to School) did a bit better, reaching 6.155 milllion live-viewers and the same demo (0.8) as Hawaii Five-0 and Blue Bloods. While the ratings aren’t as good as for H50 or BB, the Reboot still holds up pretty well against some of the other CBS action dramas. For comparison: Magnum PI is at 6.48 millions / 0.98 demo (Monday) after airing four episodes so far, SEAL Team at 5.29 / 0.83 (Wednesday, 3 episodes) and SWAT at 5.18 / 0.73 (Thursday, 4 episodes). 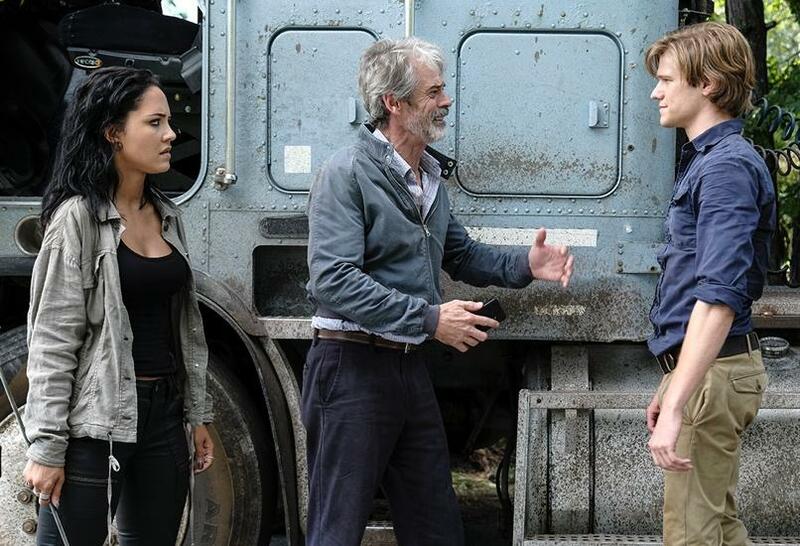 MacGyver and Riley, with the help of Vasil (C. Thomas Howell), a distraught father, must find a way to drive a tanker filled with liquid oxygen through a region occupied by rebels and deliver it to a children’s hospital before they run out. Also, Riley helps MacGyver decide whether or not to allow his father back into his life. For this episode, Tate Donovan as Oversight is listed in the recurring cast. 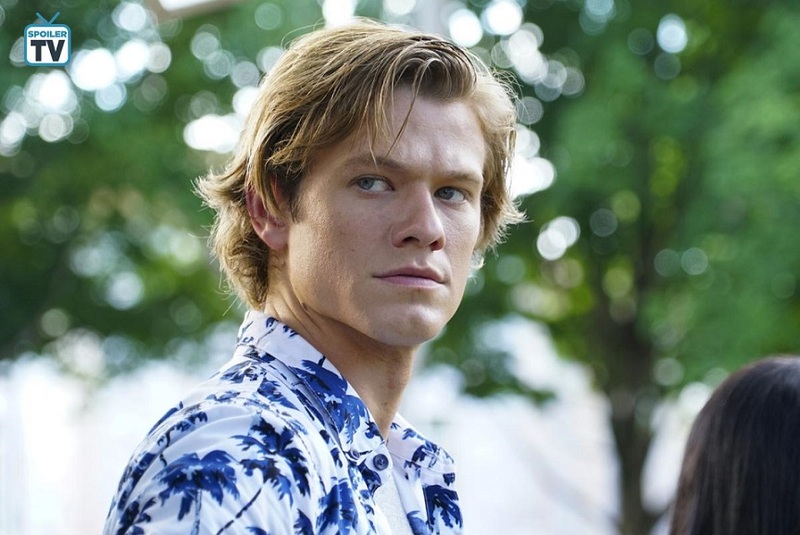 They added additional Stills on October 9, but even though they uploaded several Sneak Peeks for both Hawaii Five-0 and Blue Bloods yesterday, there are still no Sneak Peeks for MacGyver as I’m finishing up this blog post. At least Tristin Mays was nice enough to upload a little BtS video of her doing an action scene; driving the truck and fending off bad guys at the same time. Executive Producer Peter Lenkov has been quiet regarding MacGyver as well (in fact, his last Instagram post related to the MacGyver Reboot is from October 5, so 2 weeks ago while there was no shortage of postings for Magnum and H50). 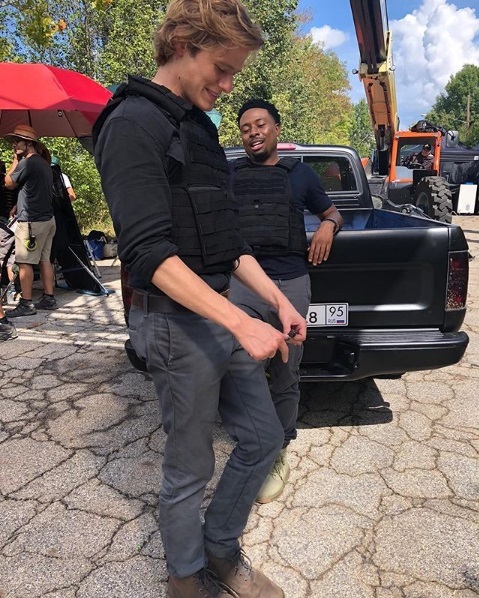 Maybe there are mixed feelings regarding this episode since there’s still an ongoing investigation of the accident with Stunt Coordinator Justin Sundquist, but since they’ve decided to finish and air the episode, it should also get proper promotion. Halloween Episode, directed by Eagle Egilsson. Guest appearances by Tate Donovan (as Oversight) and Sibongile Mlambo (Nasha). They added Official Stills on Tuesday. You can check them out here. Directed by Stephen Herek. Guest appearances by Sibongile Mlambo (Nasha), David Dastmalchian (Murdoc) and Brady Bond (Cassian). See the Press Release here. Guest appearance by Joy Sunday. Guest appearances by Holland Roden and Emerson Brooks (Charlie Robinson). Directed by Michael Martinez. Guest appearance by Lance Gross (Billy Colton). On October 4, production had started on Episode 3×09. It’s titled “Specimen 234 + PAPR + Outbreak”, written by Lindsey Allen and directed by Michael Martinez. Lance Gross was back on set as Billy Colton; uploading a few BtS videos as Short Stories on Instagram. There’s almost no BtS photos being uploaded now; but mainly temporary videos. They filmed an upscale event at a mansion and put Lucas Till in a Hazmat Suit. Though not listed in the credits so far, Lucas’ brother Nick was on set as well. They also filmed several days inside the War Room Set or outside. Last night, they filmed stunt scenes on a prison set and there should be another overnight shoot today. They’ve also decorated some streets to look like it’s already Christmas time. Meanwhile, Justin Hires keeps on giving us BtS photos from already filmed episodes; e.g. of 3×08 with Holland Roden and of the Team in their Sunday Attire. 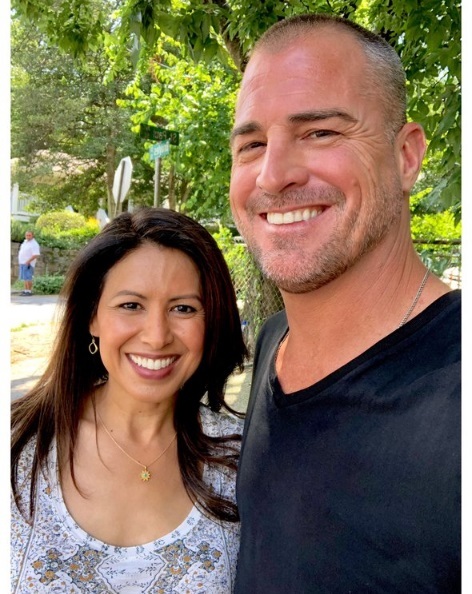 Peter Lenkov promised to post more photos of George Eads, but so far he hasn’t delivered. Since George had deleted his Instagram account recently and hasn’t been seen on set very often in the last few weeks, fans still keep asking about him. Justin Hires was nice enough to make sure to include him in his recent Snapchat videos. Reign Edwards wrapped the pilot for “The Wilds” in New Zealand. Just a few days after arriving back in LA, she was on set again to film scenes for Episode 3×09. Central Casting Georgia had posted Casting Calls for Stand-Ins for Amaris Merlin and for Sendhil Ramamurthy. Additionally, they had several Calls for Photo Doubles and for Small European Cars. They’ve also been looking for Extras; e.g. for Lab Techs, Scientists, Guards, European Police, Hazmat Men, a Phoenix Driver, for people attending an Upscale Event, Airport Security, or for Prison Inmates and for Prison Guards. Tomorrow (8pm), there will be a rerun of the Michael Jackson Halloween Special on CBS with the voices of Lucas Till and George Eads. Season 1 of Original MacGyver is still set to be released on BluRay on October 30. CBS even started doing promo for it, although we still have no information if there will be Extras or not. While Cast and Crew work 15-hours-days and more, they still find some time for other projects. Tristin Mays did a photoshoot last month. 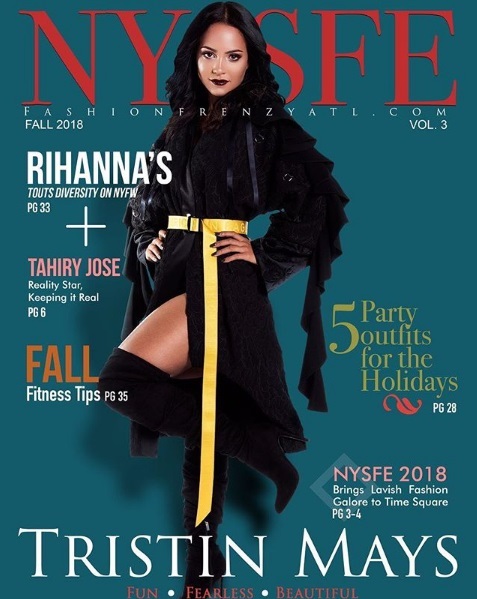 She will be on the cover of the Fall Issue for NYSFE Magazine, released on October 27. According to online posts, there should also be an interview where she talks about the MacGyver Reboot. You can pre-order the magazine here. On average, every Season 2 episode had about 1.73 milllion live-viewers and a demo-rating of 8.62. This is less than Season 1 (1.79 million live-viewers, demo 10.0), but enough to make the network happy. Also, they still air reruns of Season 1 on Monday night. Disclaimer: My original guest-post was first published on The MacGyver Project on September 23, 2016. I made some minor changes (e.g. grammar or source corrections, link corrections, additional pictures) before re-posting it on my own blog for safe-keeping. Only hours until the Premiere! Filming continues while the reviews for the Pilot Episode are piling up. And we got the new Opening Title Sequence to go along with the new Opening Theme! I kind of lost sight of what episodes the crew is working on right now – there’s so much going on! While the promo continued at full speed, we didn’t get that many pictures as in the weeks before. Some showed a new set or set equipment like this fog horn. On September 17, the crew set up at the Pullman Rail Yard, probably to film more scenes for Episode 5. They also shot more train scenes back at the Southeastern Railway Museum. On September 20, the crew worked in Downtown Atlanta, masquerading the city as New York. The fleet included NY Police Cars and Taxis. Meanwhile, G-Rod did some ADR (automated dialogue replacement) for Episode 2. 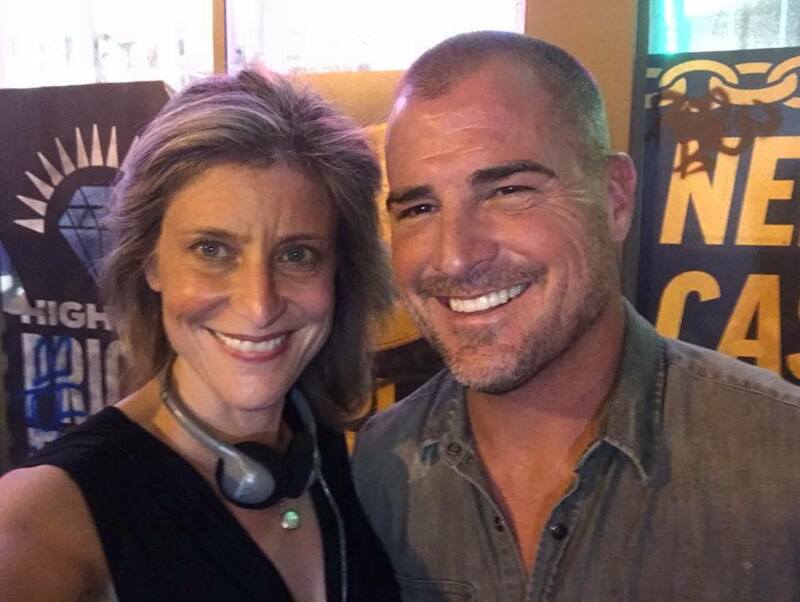 Chris Payne Gilbert shared a nice pic of George Eads preparing his lines. 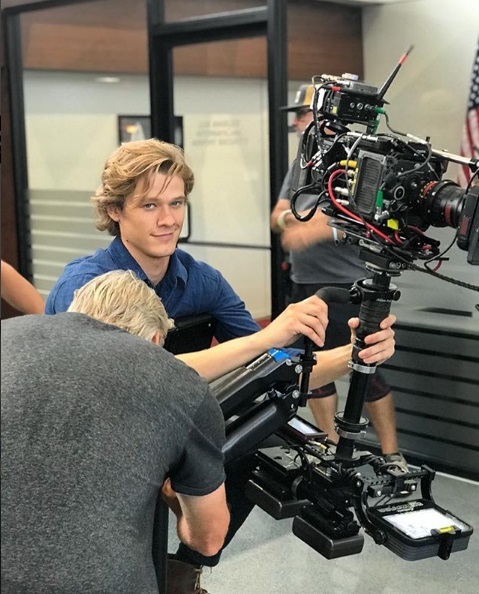 Lucas Till posted an interesting picture of himself “wreaking havoc”. MacGyver shooting an automated weapon? *gasp*. 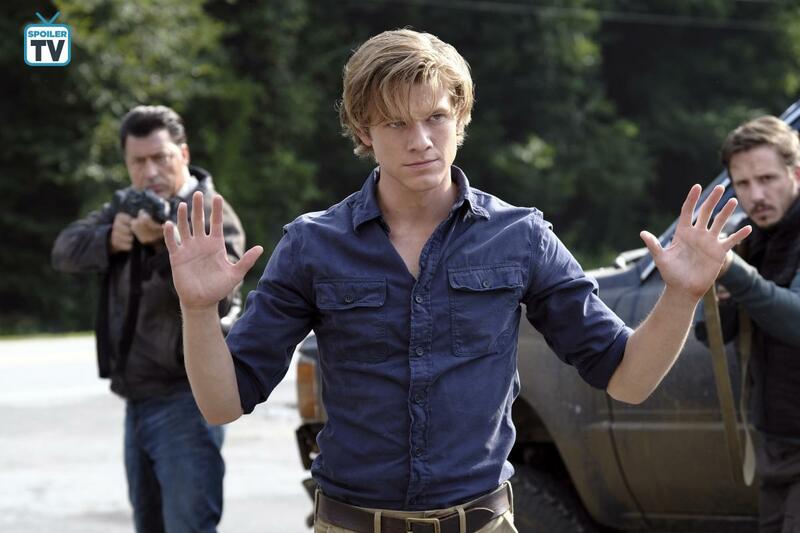 Lucas was quick to add that New MacGyver still doesn’t use guns. My guess is this is a BtS from the Pilot Episode where we get to see bikini-clad women shooting Ninjas off a tank. (You will know soon why that is.) On the same day, Lucas shared a picture of his bomb-defusal suit – and he wasn’t the only one following the dresscode. Script Writer Brian Durkin sent greetings from the Writer’s Office and revealed what bike he’s riding at the moment. 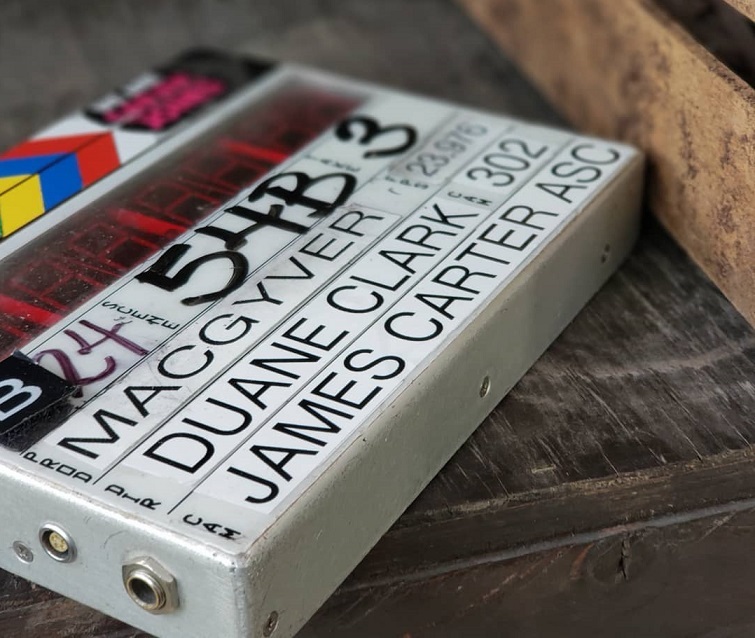 On September 22, Aina Dumlao shared the news that she’s back on set – watching MacGyver episodes in her trailer. There’s worse homework than watching original MacGyver, right? Promo is still hitting the state fairs – recently in Oklahoma. But the main promo consists of previews and sneak peek videos. CBS distributed many videos to various outlets this week. To list a few: We got to see a BtS-Video of the stunt work with Stunt Coordinator Jeff Wolfe. One video let us “get to know the stars” a bit better while ET Canada shared another Featurette with short interviews on set. CBS also helped us to freshen up our knowledge about MacGyver’s 7 Notorious Tools (as if we wouldn’t remember) and to decide which episodes of classic MacGyver to watch before the premiere – the cast and crew’s favorites, of course: “Trumbo’s World” (Lucas), “The Heist” (Tristin Mays) and “Partners” (James Wan). On September 18, Executive Producer Peter Lenkov revealed that the Orchestra was scoring the pilot plus recording the new theme. He even provided little videos to listen in. How exciting! On September 20, Yahoo! posted an amazing fake title opening sequence they had edited together for fun. It’s actually a recreation of the original title sequence that many people mistook as the real deal. Only hours later, Entertainment Weekly posted the official new title sequence – and squashed the excitement of many fans. I’m glad the reboot gets a “real” opening sequence (and not just the title for five seconds like other modern TV shows). I love that they kept the focus on MacGyver’s hands instead of the character’s faces. I kinda like the music although it sure isn’t as memorable as the original. But this opening is not as much fun as it could have been – especially not if you compare it to Yahoo’s fan-made title sequence *sigh*. Several reviews of the Pilot Episode have made the rounds now and they keep coming in. Some are quite harsh; e.g. the reviews by Variety or The Hollywood Reporter. Others are more “meh” about it; e.g. Collider or USA Today. I liked the review by Your Entertainment Corner – it is critical, but fair and rather points out the strong and weak points instead of just bashing on it. Another very nice one is the review by Cinemablend which comments some more on the characters and the performances. On September 21, Eric Goldman shared an interview with James Wan about the reboot in general and shooting the pilot. Peter Lenkov talked with TV Guide about how to keep the spirit of the original. Front Row Features posted an interview with Lucas and George. As Justin Hires reveals, press days and doing interview rounds for TV is hard work, but can also be very fun and practical. With the help of journalists at Yahoo and TV Guide, the cast managed to escape one of the famous Escape Rooms. Of course they did; it’s MacGyver! Central Casting Georgia has made more casting calls; e.g. for onlookers of a crime scene, for people to work in flashback scenes to the 1970’s, for a SWAT guy and for downscale and dented neighborhood cars. On September 17, Peter Lenkov granted us a first look at Penny Parker. Justin Hires posted a new picture of his character Wilt with MacGyver. While sharing his Favorite Classic MacGyver Moment, James Wan confirmed that Murdoc will be a character in the reboot. India Batson shared the news that her scene as Tiffany was cut from the pilot episode. Seems like some of the bikini-babes didn’t fulfill their Shooting-Ninjas-off-Tanks-quota. Hopefully, there’s DVD extras for people who were looking forward to see her. On September 22, SpoilerTV revealed the press release for Episode 3 (“Awl”): Team MacGyver will travel to Malaysia to extract a terrorist groups’ money man who holds key intel to an impending attack. What is my opinion on this? As I stated in my very first blog post about the reboot, I’m not a fan of reboots or remakes in general and I don’t like that many of the shows on TV right now. This so-called reimagination sure has its flaws and problems. Some of them because the reboot is set in modern times, others because of the creation and background stories of certain characters. I’m also not very fond of the Team MacGyver concept because it’s the typical team formula you get to see on television all the time. Of course, it’s not that easy to satisfy fans of the old show. Yet I do think this reboot can be fun if you don’t compare it too much to the original and to the iconic character that Richard Dean Anderson created over the course of 7 seasons. It’s a good thing that a new generation will also get to see a hero like MacGyver, even if he’s different. Also, with the buzz going on on social media (Forbes states that along with “This is Us”, MacGyver gets the most buzz of all the fall tv premieres), it’s nice to see that so many people are fans of the old show. The reboot will inspire people to check out the original, regardless if they liked the new version or not. Disclaimer: My original guest-post was first published on The MacGyver Project on September 16, 2016. I made some minor changes (e.g. grammar or source corrections, link corrections, additional pictures) before re-posting it on my own blog for safe-keeping. Only a week until the Premiere! Filming continues while the promo cycle is in full swing with interviews, new promo pics, talk show visits, screenings, press days on set, preview clips and ringing the New York Stock Exchange Bell. It’s become impossible to keep track of everything! On September 13, the set was invaded by dozens of news stations and interviewers for press day. Reporters and Journalists shared many pictures and videos on social media – so many that I can’t refer to all of them. In this video, Lucas revealed one specific MacGyverism he will be doing on Episode 5. Sounds familiar, no? It is possible that production on Episode 6 already started since Justin Hires just posted another live video on Facebook. During the 7-minute-video, Justin shows us the entire set of New MacGyver’s home; including the contents of his fridge. Right at the beginning, he mentions that they’re shooting the Halloween Episode right now. We also got more promotional photos for the Pilot Episode on September 14 via SpoilerTV. One day later, they revealed 3 sneak peek clips. 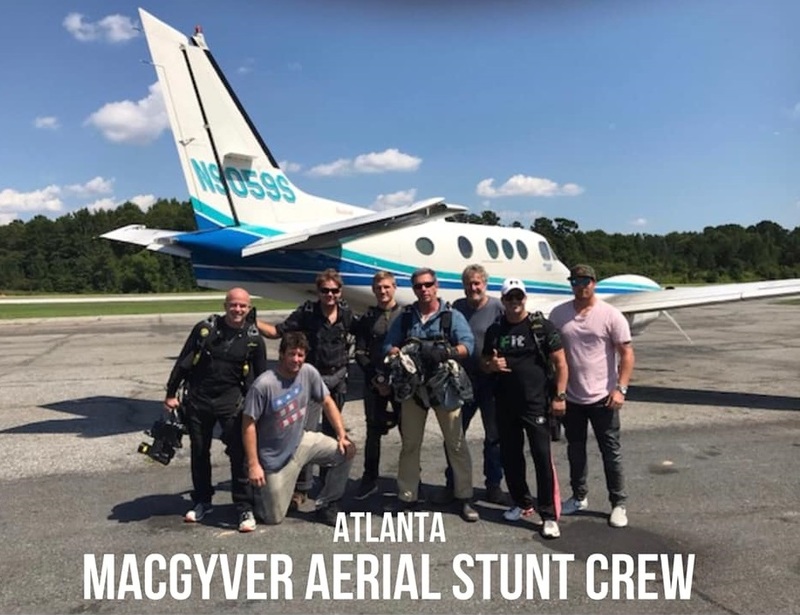 The first one shows the scene with MacGyver jumping off a helicopter (that Jack is flying) onto a driving military truck; trying to save the world. The second clip is the scene that was shot at “Lake Como” in Italy (and includes Nikki Carpenter) while the third one deals with MacGyver and Jack meeting up with Riley Davis in prison to recruit her for a mission. Lucas and George did a video interview with CBS News. Lucas did an additional single interview (including a preview with new scenes) while George was a guest on “Live with Kelly“. They also did radio interviews (e.g. with Sirius Radio) and posed with NY Police Officers. Later that day, the three got to ring the closing bell at the New York Stock Exchange. After all this work, they finally got to enjoy some pizza. By the way: There’s no need to throw away your pizza box afterwards, because you can use it to MacGyver a Birdhouse or a Tablet Stand! After the Iowa State Fair, CBS also promoted the reboot at the Indiana State Fair. 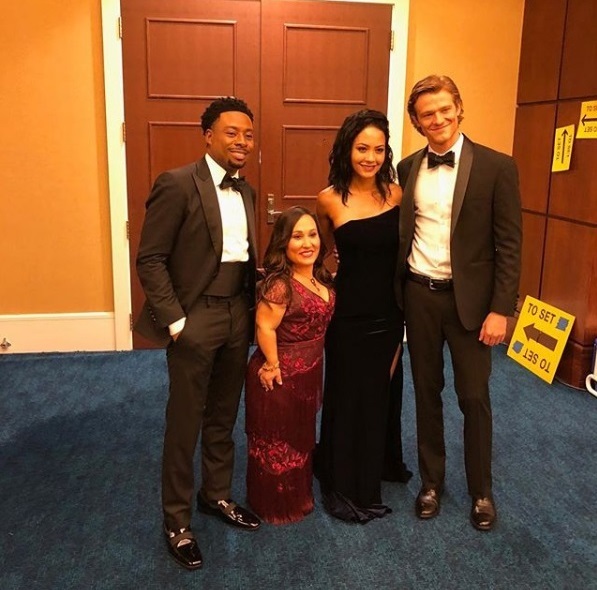 The airing of the MacGyver segment on “Big Brother” garnered quite some attention on social media. Apparently, the winner received “a trip for two to the set (…) for an exclusive behind-the-scenes tour of all the action” – although many still complain on social media that the competition was rigged. On September 5, TV Promo 360 released another “inofficial” video with a few new scenes. CBS shared a 360°-BtS-Video with an interesting soundtrack. Is this the new theme song we’re hearing? I’m not really a fan of modernized well-known songs, but I could actually accept this. The use of this soundtrack is a bit puzzling though because someone at the MacGyverOnline Forums pointed out to me recently that this one is quite old. 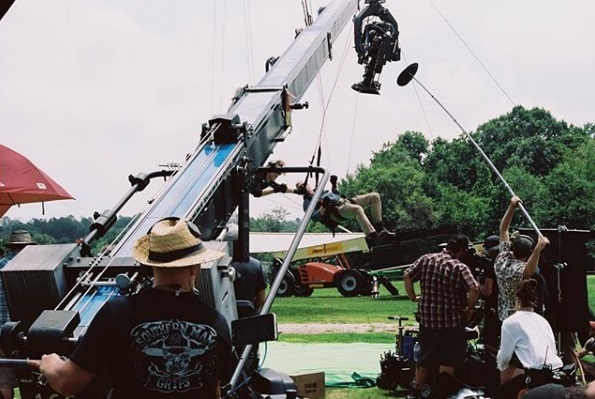 On September 14, CBS released a BtS-Video of a photo shoot with Lucas and George; including the scene with Lucas hanging from the ceiling on a parachute for the official poster. I’m still no fan of the poster, but it looks like shooting it was lots of fun! In his Facebook Video, Justin Hires revealed some interesting tidbits. 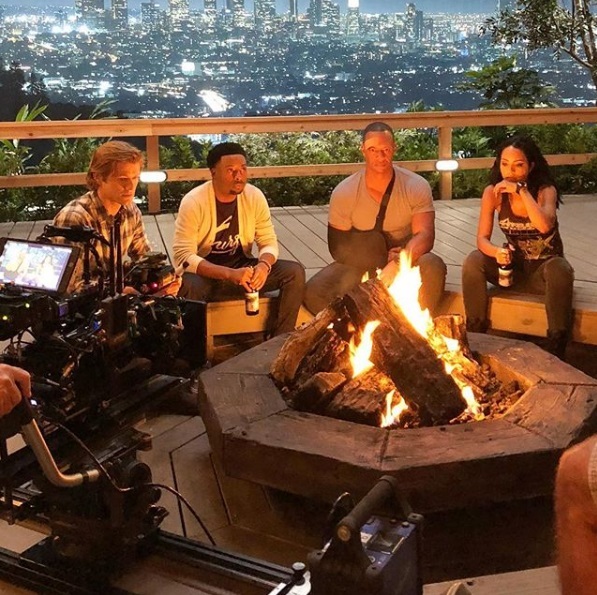 We finally know that MacGyver’s home is located in California with a direct view onto the Observatory from the Original Pilot Episode. Also, New MacGyver likes to surf. According to the TVLine-Review of the Pilot Episode and this video from the Press Day on set, Justin’s character Wilt doesn’t know about MacGyver’s true occupation which will lead to some funny situations. 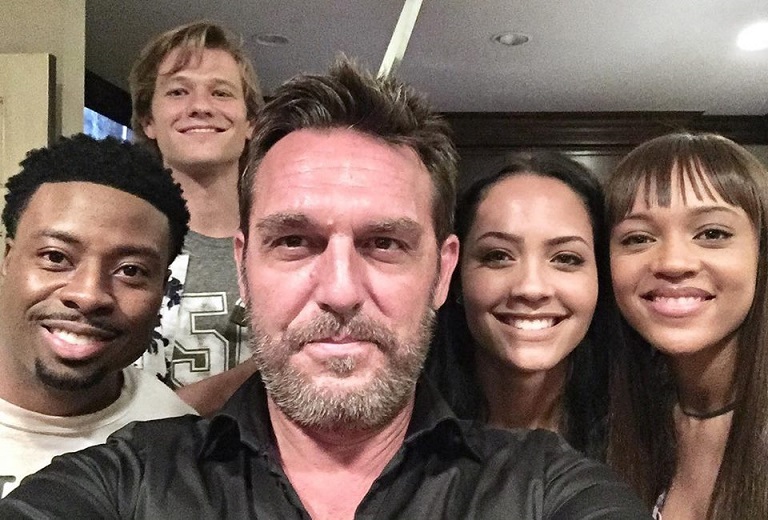 In an Interview with Suzanne Lawler, Tristin Mays revealed that Jack Dalton is her character Riley’s Ex-Stepdad and that they have a love-hate-relationship. 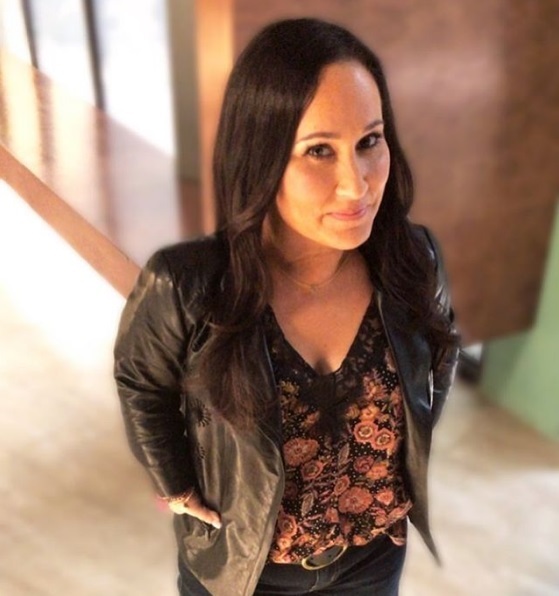 I guess we can expect some family drama history being revealed and the possibility of Riley’s mom showing up in a later episode. On September 15, we got more information on Episode 2 with Amy Acker. We already knew about the synopsis, but the episode called “Metal Saw” was directed by Jerry Levine (Hawaii Five-0, Elementary). Apparently, the crew of Iatse Local 479 likes to spend some time off set together: Several crew members joined the 2nd Annual Atlanta Film Community Charity Kickball Tournament on September 11 – and actually won 1st place! Well done!